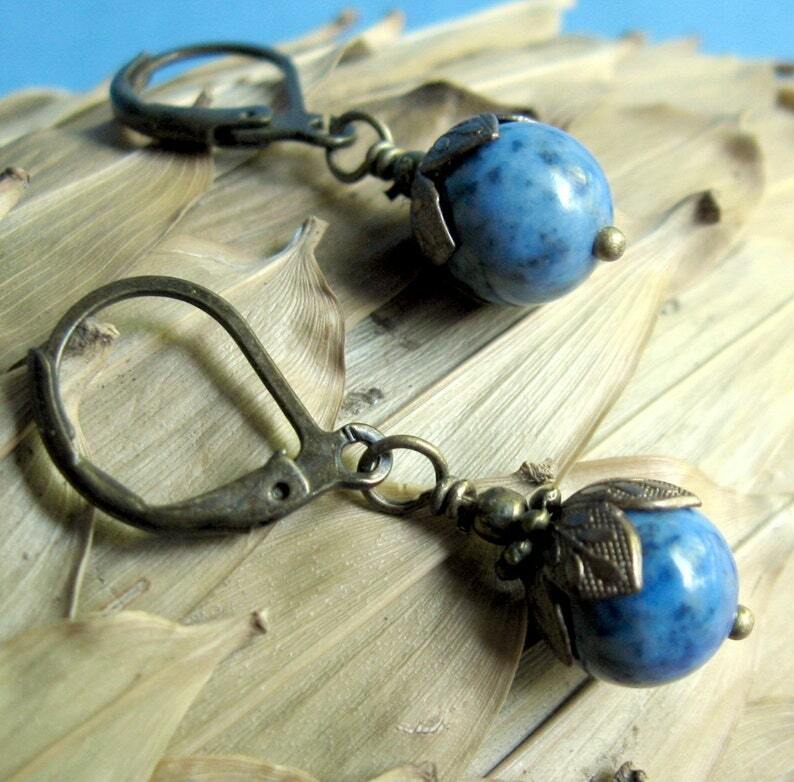 Blue gemstone earrings. A lovely bold blue color. These spotted gemstones were topped with lovely highly detailed brass bead cap. Shown on brass leverback ear wires. The earrings are a bit dainty and are around 1.25 inches long. The brass is nickel free and not plated. Don't like this particular earwire? Please see one of the other pictures for other options. Most can be switched free of charge. Please contact me for a quote on Insurance or upgraded shipping if needed. Payment: Plenty of payment options, paypal, money order, personal check, or cash if you dare.